Look at those smiles! 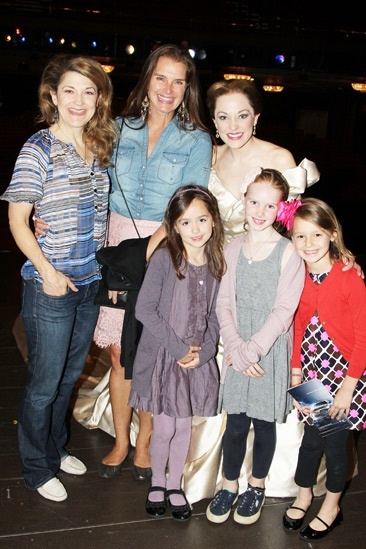 Brooke Shields, her daughter Grier (in gray jumper) and Grier’s friends Ava and Milly and thrilled to meet Cinderella stars Victoria Clark (l.) and Laura Osnes. Brooke Shields celebrates daughter Grier Henchy's birthday at Cinderella on April 27, 2013.